Western Mountain Web Design was founded to provide high quality, custom websites that remains on the edge of innovation. We are committed to quality, satisfaction, and websites to meet our clients needs in business and non-profit organizations in our local community and also around the world. Western Mountain Web Design was originally founded in Rock Springs, WY and has since relocated to State College, PA.
With our company, you can expect to receive a website page that follows the best web design practices possible. We take the stress of having to know how to start a website yourself. Whether it is hosting, design, or ideas that you did not even consider, we can work with you to help meet your needs. You know your business, we know web design. We believe in our clients understanding the process and we make every effort to meet your specifications while being sure that you understand all of the steps in the process. 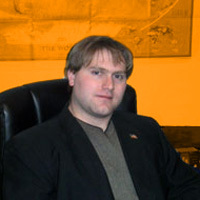 Western Mountain Web Design was founded by Tom Murosky in May 2010. Tom has been a website hobbyist since the late 1990’s working first on Netscape’s Composer. Since founding Western Mountain Web Design, Tom has changed development strategies many times in order to stay current with modern trends. Tom is highly knowledgeable in responsive design, bootstrap, WordPress, and many other web technologies. In addition, Tom is a general computer expert with experience in Windows, Linux, and Mac computers.